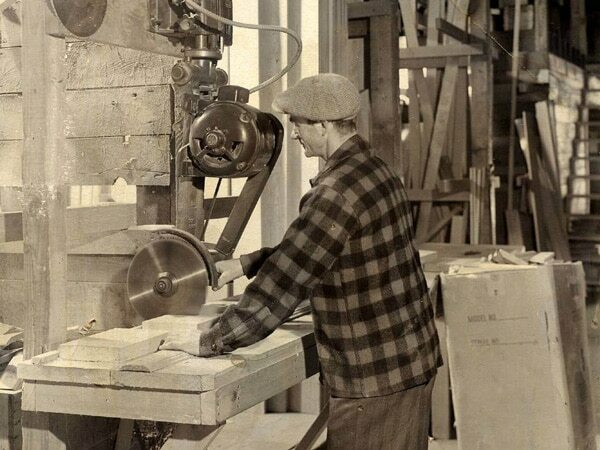 Lakeside Lumber opened in Lake Oswego, Oregon, in 1937, and the company’s very first employee was a hard working Danish immigrant named Otto Jacobsen. Otto’s son, Ernie, started working at Lakeside while he was still in high school. 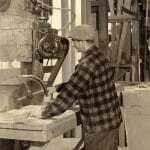 Except for his service in the Navy in World War II, Lakeside Lumber would be the only place that Ernie would ever work. Ernie worked long and hard at Lakeside, and instead of getting paid overtime for his extra hours, he wisely accepted stock in the company. Ernie and his wife, JoAnn, had big plans. In addition to raising their two children, JoAnn worked full time as a nurse. They devoted their savings to buying even more shares in Lakeside, finally becoming majority shareholders by the mid-sixties. Ernie became president, and wasted no time realizing the vision he had for the company. After nearly forty years at a prime location in downtown Lake Oswego, he boldly moved the firm West to a remote spot on Boone’s Ferry Road. He then repositioned the company as a siding and decking specialist, leaving the general hardware business behind. Through decades of experience, Ernie knew that Western Red Cedar was the best option for exterior use in the Pacific Northwest. But Jacobsen wasn’t done. He then purchased the equipment necessary to pioneer the process of pre-priming and pre-staining Lakeside’s siding and decking products so that they could be delivered to a job site fully protected against the area’s often rain-drenched environment. 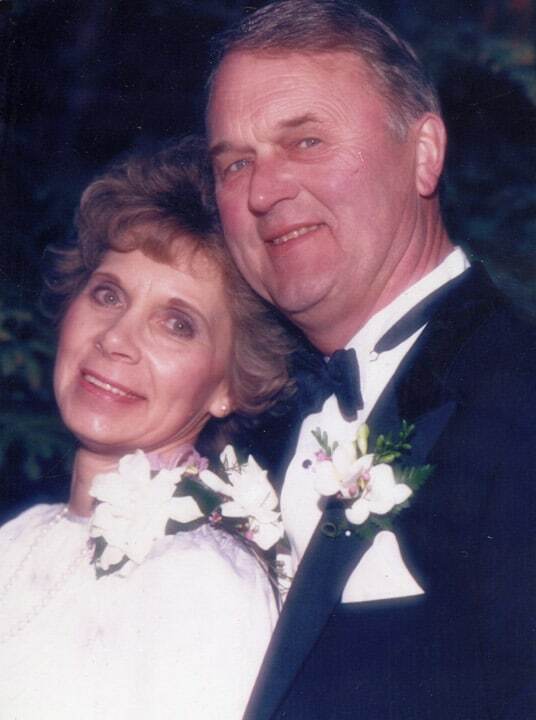 Ernie guided the company to a lofty position as the premier supplier of Western Red Cedar in the Pacific Northwest and along the way gave back by encouraging and guiding many a career in the building trades. Ernie drove his team to deliver the ultimate in customer service, and set the tone by going above and beyond the call of duty many times. He truly understood that his customers were the foundation of the business and dedicated an annual golf tournament just to them. By the late nineties, Ernie felt it was time to hand the reins of the business off to the next generation, convincing son, Kevin, and daughter, Lori, to move north from San Francisco and immerse themselves in the Lakeside culture and market. They abandoned successful careers to carry on the legacy that Grandfather, Otto, and Father, Ernie, had established. Tragically, the company was struck by a major fire shortly after the move north took place. Over a million dollars in inventory was destroyed by a fire of unknown origin, yet true to Lakeside’s unwavering sense of customer service, not a single delivery was missed during the following week. 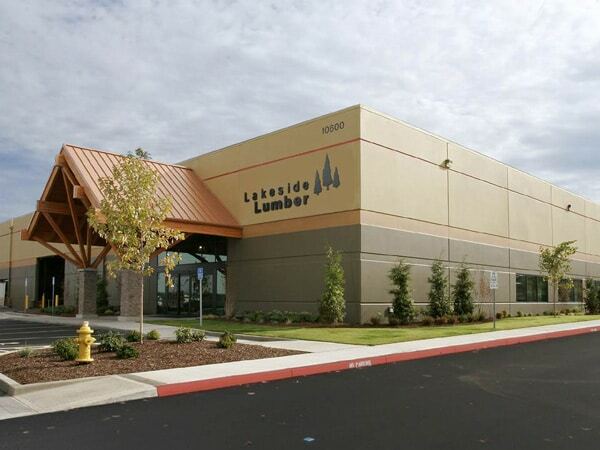 By 1999, Ernie transferred complete control of Lakeside Lumber to the third generation of Jacobsens. In keeping with that transition, Kevin redesigned the Lakeside logo with three cedar trees, representing the three generations of Jacobsens involvement with the company. 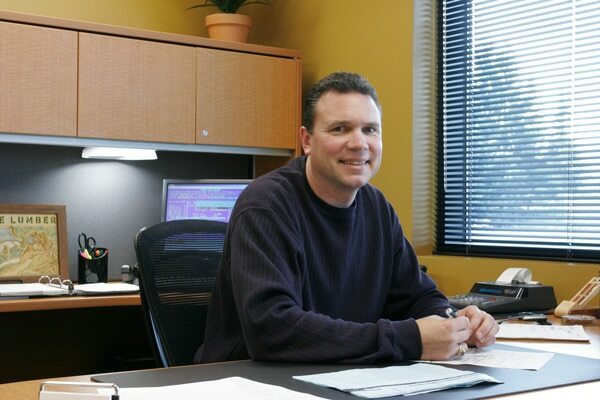 Kevin guided the business through the first decade of the millennium and its volatile market conditions. By expanding the breadth and depth of Lakeside’s siding and decking options to include composite products and exotic hardwood decking, he was able to double the company’s size. He also had the vision to move the firm yet again, this time to Tualatin and a brand new, beautifully designed seventy thousand square foot facility. This firmly anchored Lakeside as the most complete source of natural and composite siding and decking in the entire Northwestern United States. Ernie’s venerable and well-worn apron hangs in that facility, a daily reminder of the firm’s roots and its heritage of service to their many customers. A few years before he passed away in 2000, members of the Portland Home Builders Association honored Ernie and that legacy by launching an annual golf tournament aptly named “Ernie’s Open.” The tradition of Ernie’s Open is still going strong with well over 100 golfers making the yearly trek to Las Vegas as a tribute to Ernie’s memory. 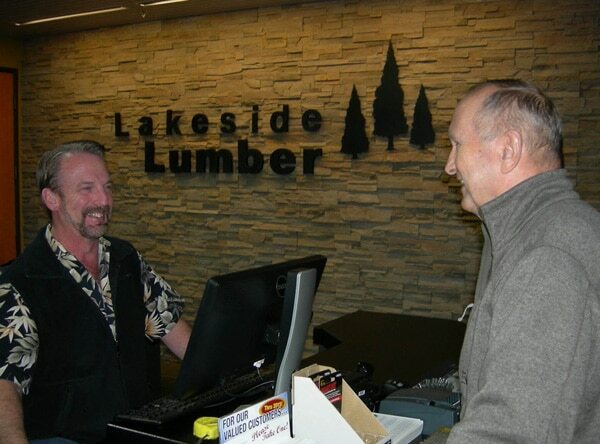 Today, Lakeside Lumber is serving more customers than ever with the same spirit Ernie infused into the company; a family atmosphere, superior customer service and a level of expertise borne out of several decades of siding and decking experience. Kevin and Lori and the dedicated employees at Lakeside Lumber are moving confidently into the future. And that future looks bright, bright indeed, and that would make Ernie and his Father, Otto, very proud.